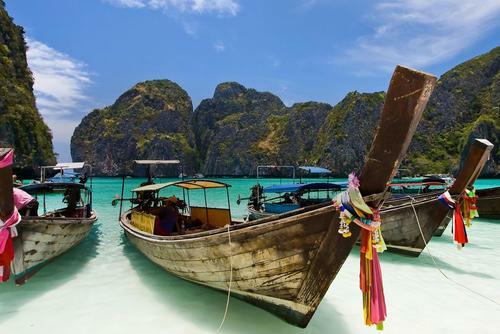 Over 20 million people visit Bangkok every year making it one of the most popular cities in the world. 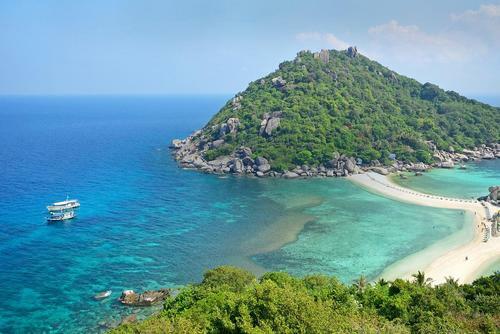 Bangkok is also where most international flights into Thailand arrive and the chances are if you are going to travel in the land of smiles you will arrive into this bustling metropolis. 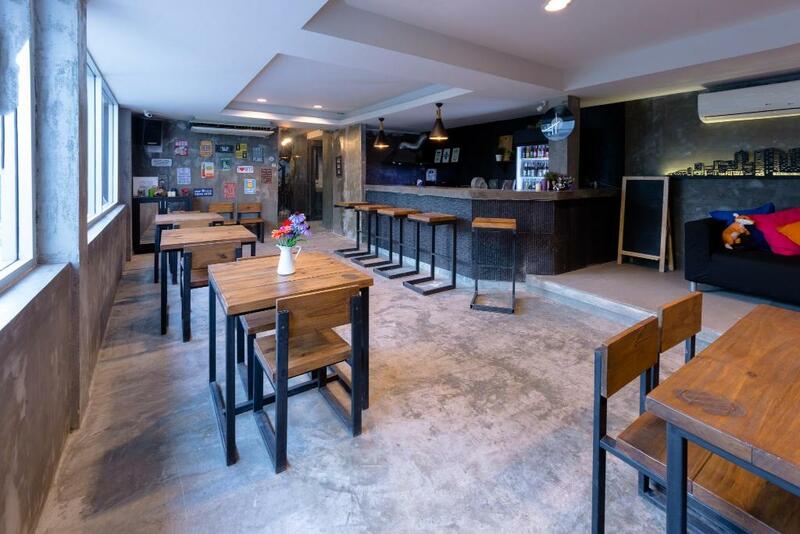 Finding a hostel in Bangkok isn’t difficult but finding a good one is. Bangkok is a massive sprawling city and you will need to think about how long you will be staying, what area would be most convenient and what your budget is. Bangkok is a cheap city to stay compared to Western cities, but it is also one of the most expensive places to stay in Thailand. 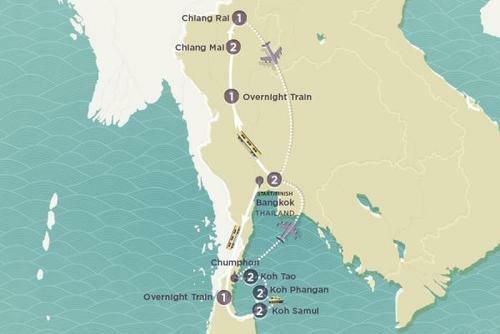 Popular areas to stay include near the airport, close to the river, near the shopping district or on or by the famous Ko San Road area. 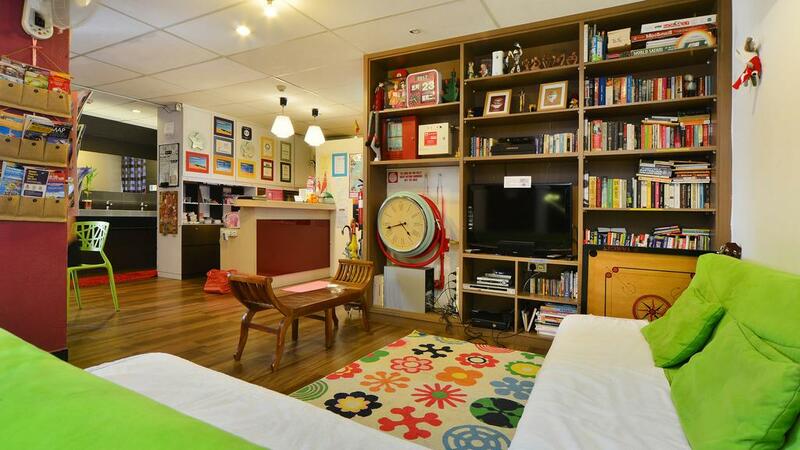 Most hostel dorm / private rooms cost around $5 - $25 per night as a rough guide. 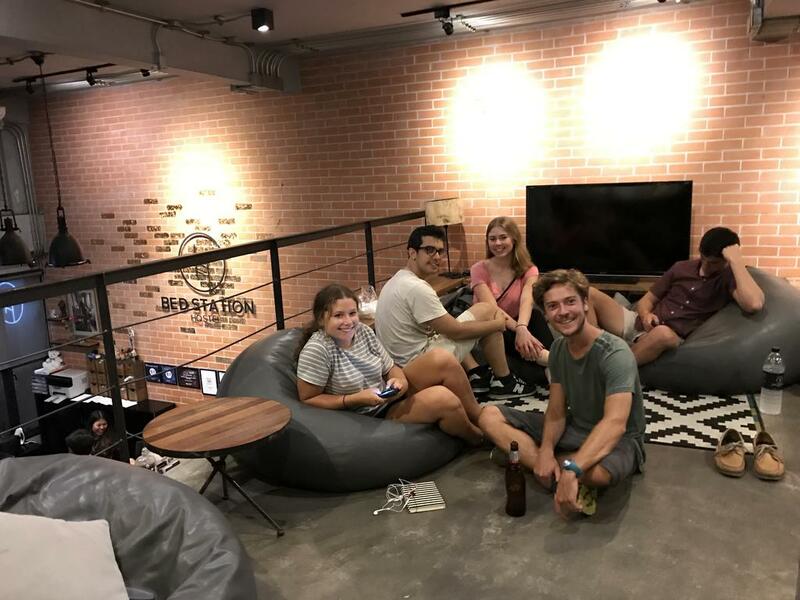 There are literally hundreds of budget accommodation in Bangkok and so to help we have put together this guide to the best hostels. Our recommendations are based on location, facilities, prices and reviews. 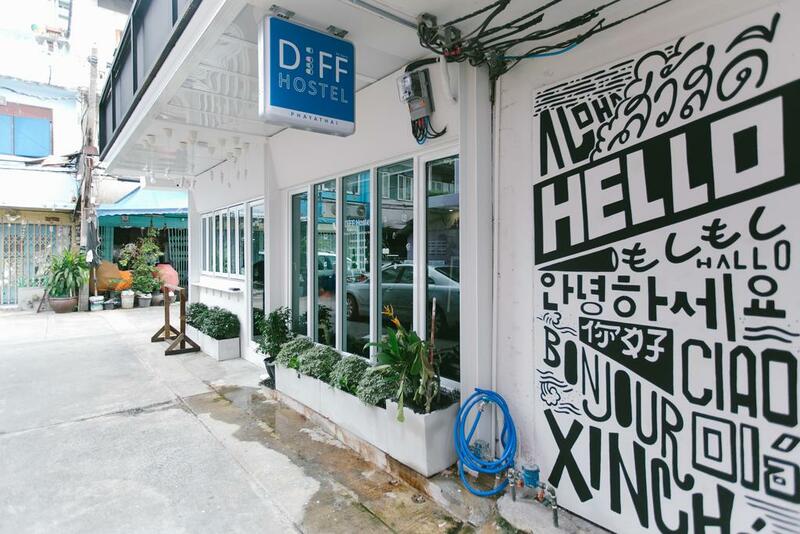 Diff is one of the best hostels in Thailand - there is a good atmosphere, stylish design and free breakfast. Prices are slightly more than other hostels but you pay for the better level of comfort. The facilities are modern and you will not regret booking a stay here. 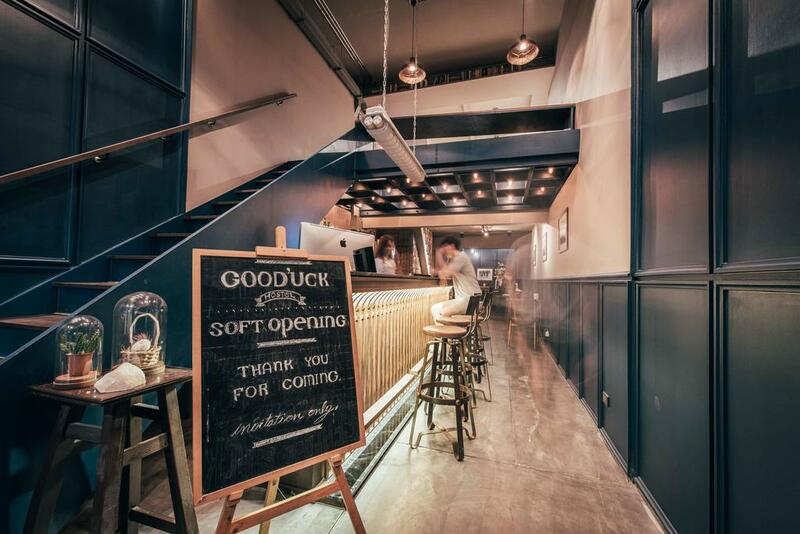 Good ‘uck hostel is a super modern boutique hostel which looks amazing. 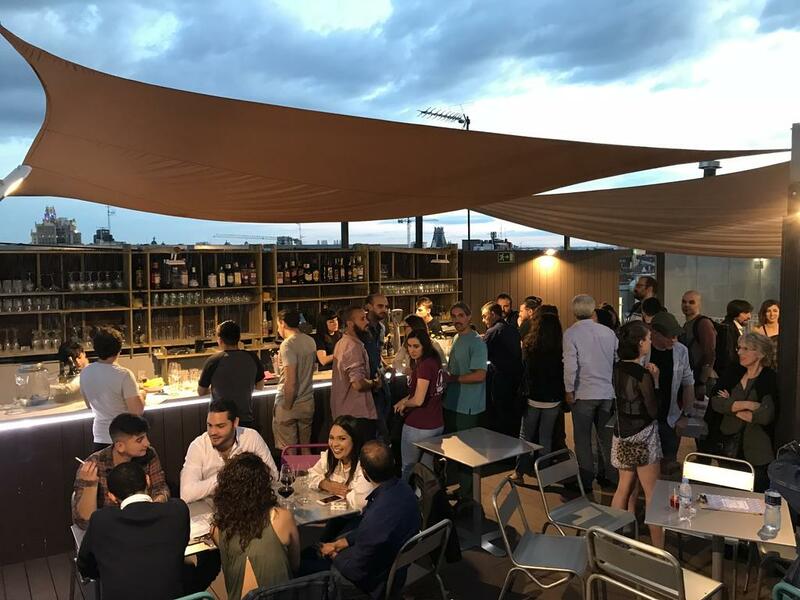 Benefits of staying here include the amazing roof terrace, cafe, bar and the hostel is also in a great location with fantastic transport connections. There is also free WiFi throughout and an onsite bar. 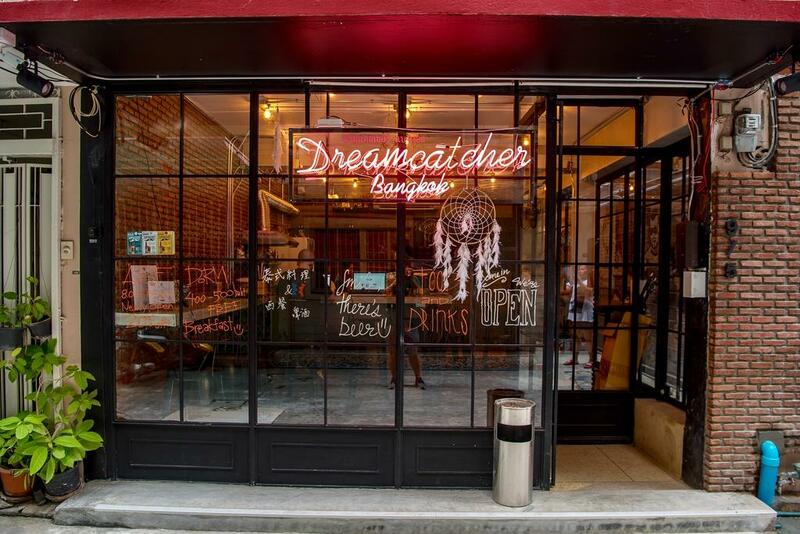 One of the cheapest hostels on our list, the Dreamcatcher Bangkok is also one of the best. This hostel is located less than a mile from Patpong, with lots of bars and nightlight whilst the huge MBK Shopping Mall is around 2 miles away. 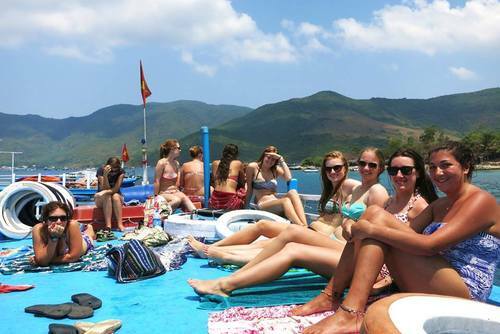 There is a shared lounge, a sun terrace and friendly staff who can help you book activities and excursions. 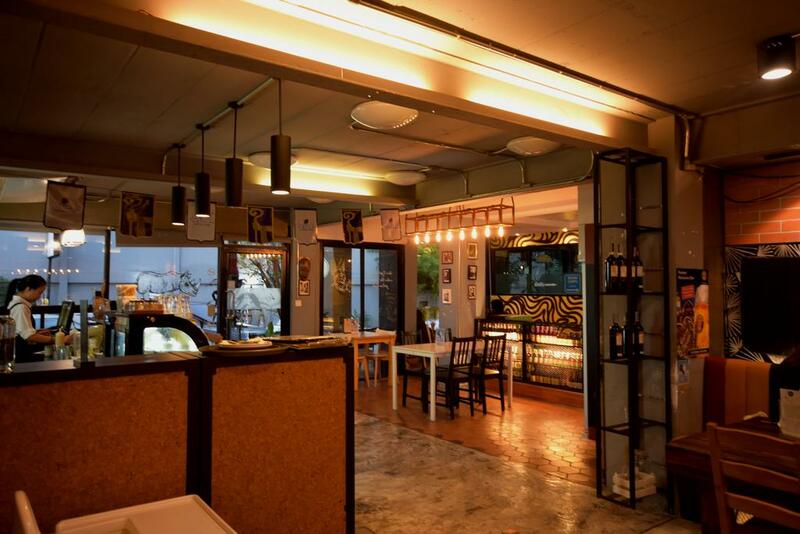 There is also an in-house restaurant, where you can sample some really tasty local and international food. ROOM@Vipa is a great place to stay and you can choose from single private, double, triple rooms and 4 persons rooms. Rooms are modern with balconies, air-conditioning and flat-screen cable TV's. There is free WiFi access in all areas and there is also a seating common area, a dining area, garden, bar and on-site restaurant. You can also make use of the shared kitchen area and enjoy the free breakfast offered daily. This hostel is popular with coupes as private rooms are very cheaply priced especially compared to similar hotels in the area. Keen to have a place to stay where you will meet other travellers and get to experience the highlights of Bangkok's nightlife? Playground hostel is a top choice. This hostel is clean, modern, the rooms have privacy and space even in the dorms and the outdoor areas and bar are amazing! 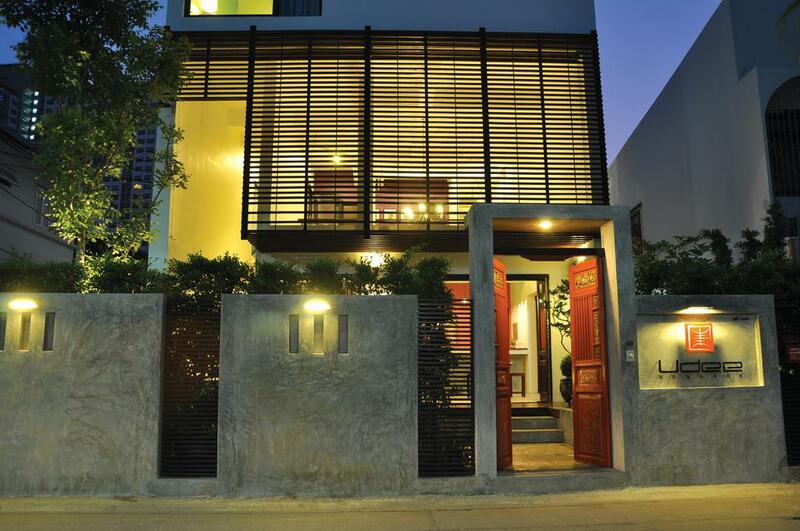 This is one of the best value places to stay in Bangkok and guest reviews are very positive. Facilities are clean and modern whilst the property is in one of the best locations in Bangkok only moments from the MBK Shopping Mall. Benefits of staying here include low prices, free Wifi, and an on-site snack bar. Rooms are spacious and some even have seating areas to relax. Each room has a shared bathroom and a flat-screen tv. 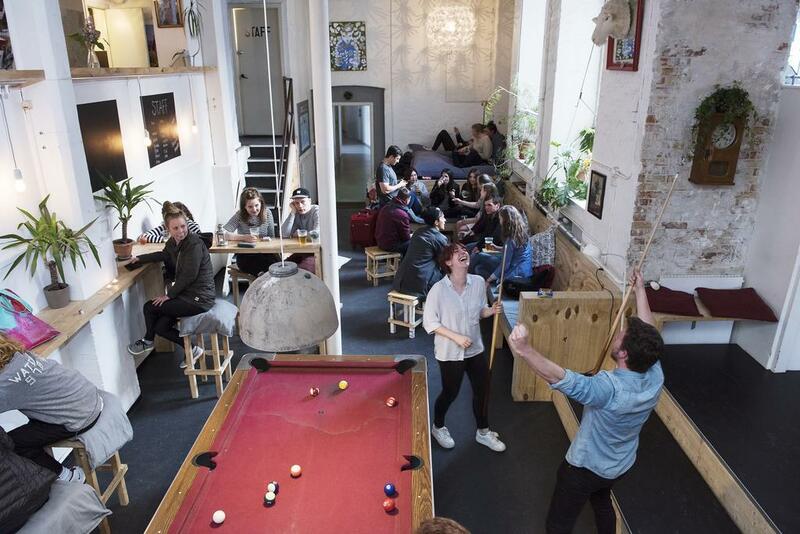 Are you looking for a fun and lively hostel? Choose Mad Monkey! 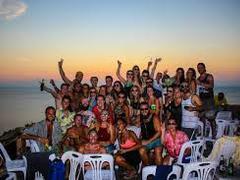 This hostel has one of the best social atmospheres perfect to meet other travellers and party. Rooms are clean and comfortable and the central location is a bonus - minutes away from the Khao San Road. Baan Gaysorn Hostel is one of the newest hostels on our list and has been receiving guests since December 2016. 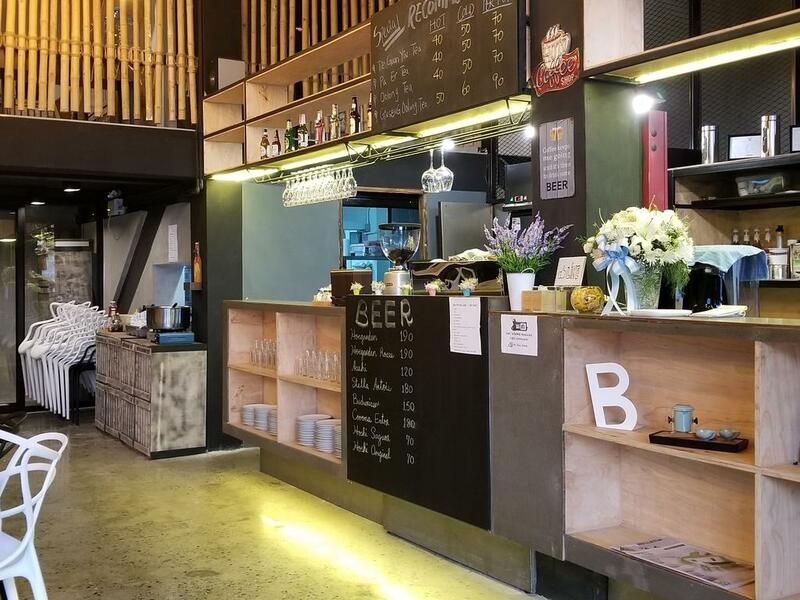 It is located in the Sathorn district of Bangkok, and is slightly different to other places on our list and very relaxing compared to the hustle and noise of Bangkok. There is free WiFi, a shared kitchen, a restaurant and a western breakfast is served every morning. One of the best things about staying here is the activities in and around Bangkok, like cycling. Prices are also very cheap! 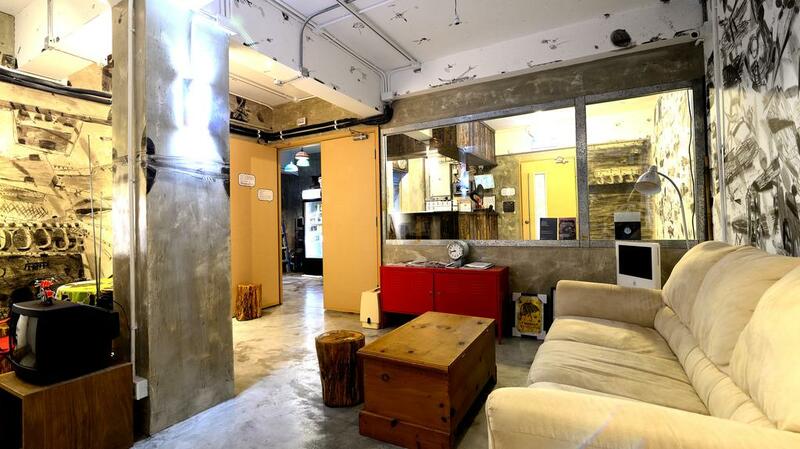 This loft-style hostel is very relaxed and a secret haven in Bangkok! Located in a four-storey building in the heart of Bangkok (Asok), the underground and skytrain is only minutes away. Lots of restaurants, shopping malls and entertainment is on your doorstep. Stay here and get free WIFI in all public areas and free computer/internet use. Rooms have air conditioning with comfy mattresses and complementary towels, shower cream and shampoo. 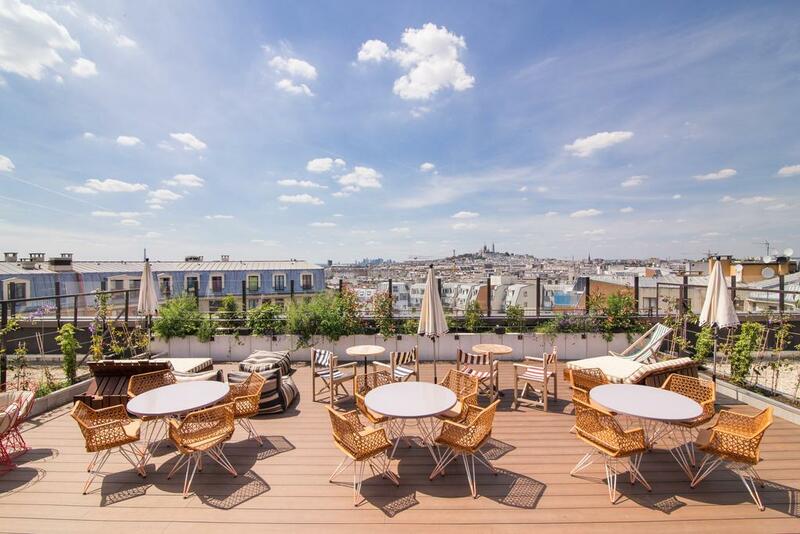 There is also a fantastic rooftop bar, café and high security. 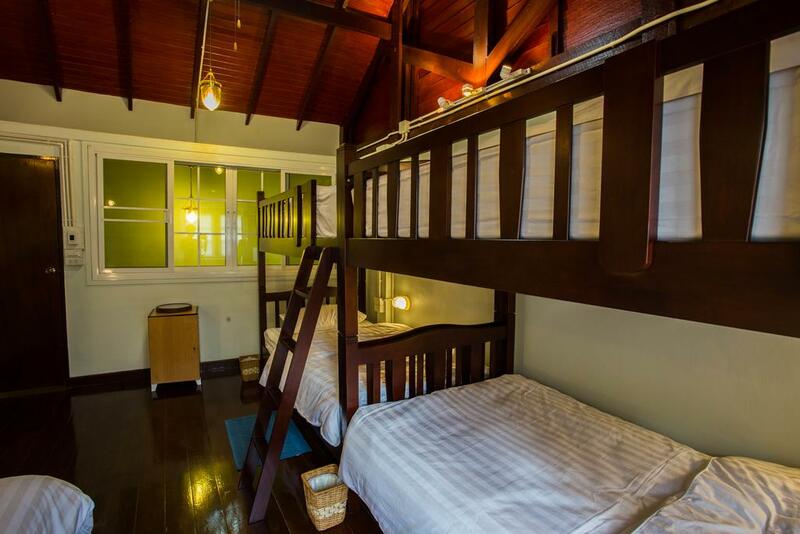 This historic and traditional hostel has been designed beautifully. 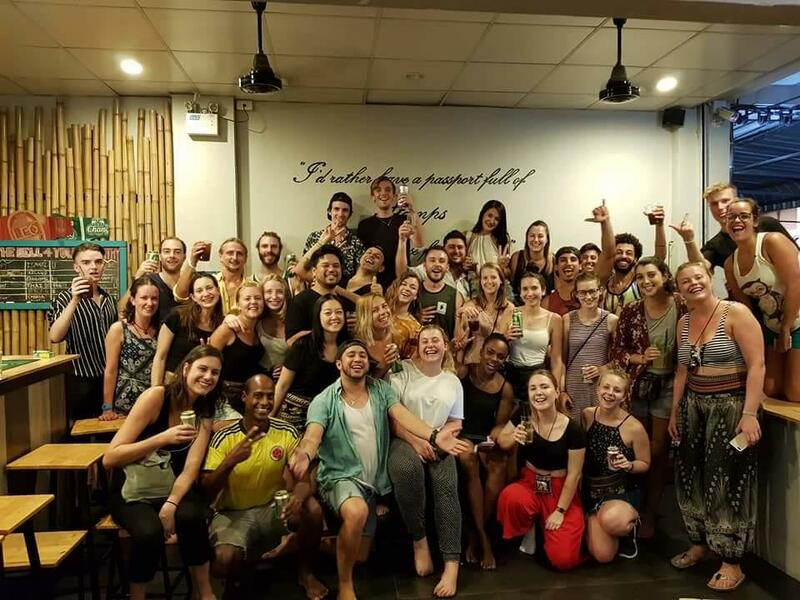 There is a real comfortable feel to the hostel and the central location is amazing close to the Grand Palace and around a 10 minute walk to the Khao San Road. This hostel is award winning with The Guardian newspaper calling it 'The World's Best Boutique Hostel'. 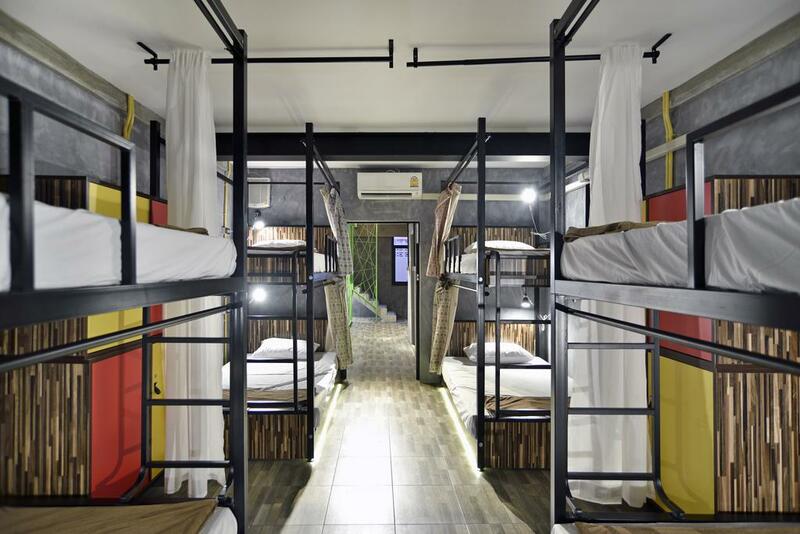 When you look at pictures of this hostel you might be thinking 'is this really in Bangkok?'. This amazing eco hostel aims to reduce human footprint, and is constructed from shipping containers and other reused materials. 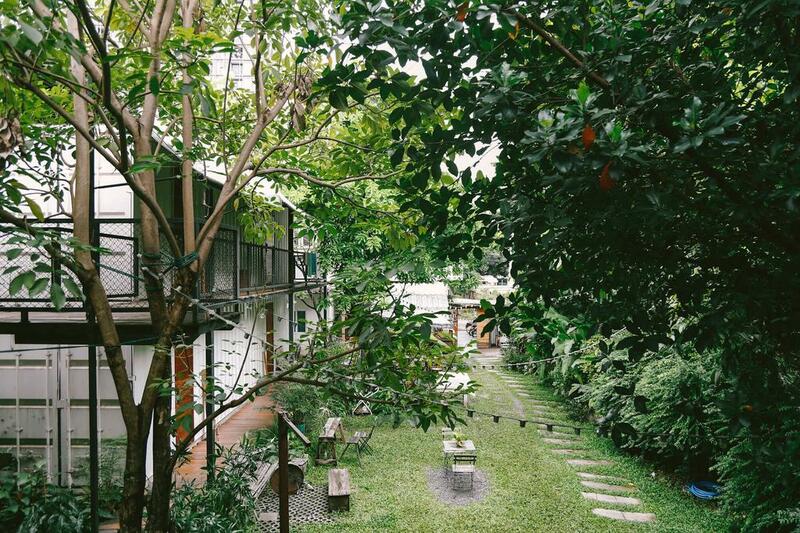 Hidden away in Ari neighbourhood, the yard is a little oasis for those who want to relax and escape from busy Bangkok. 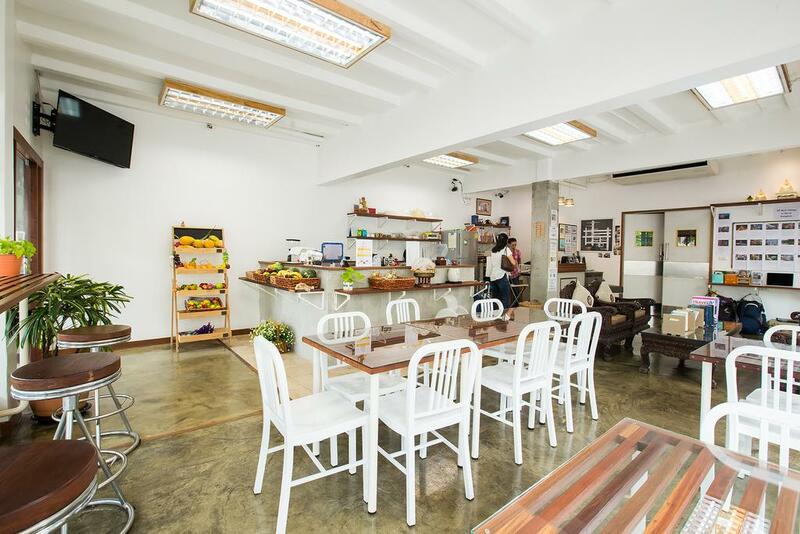 This hostel is moments away from sky train stations and close to lots of restaurants, cafes and street food vendors. 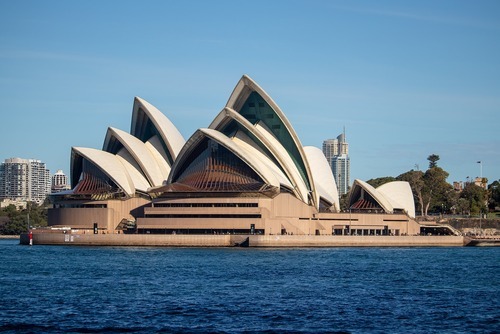 This is a great place to meet likeminded travellers or chat with their incredibly friendly staff. 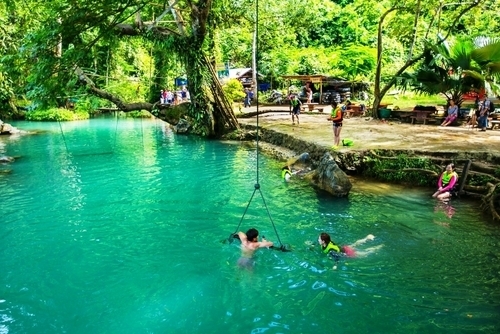 Keen to learn to cook Thai style like the locals? This hostel offers Thai cooking classes, complete with all ingredients and a full course meal at the end! There is also a large communal kitchen and staff will be happy to help with advice. When you depart Hom, you will leave with lots of new food knowledge! Other reasons to stay here include the modern facilities and an outdoor garden with views of downtown Bangkok. 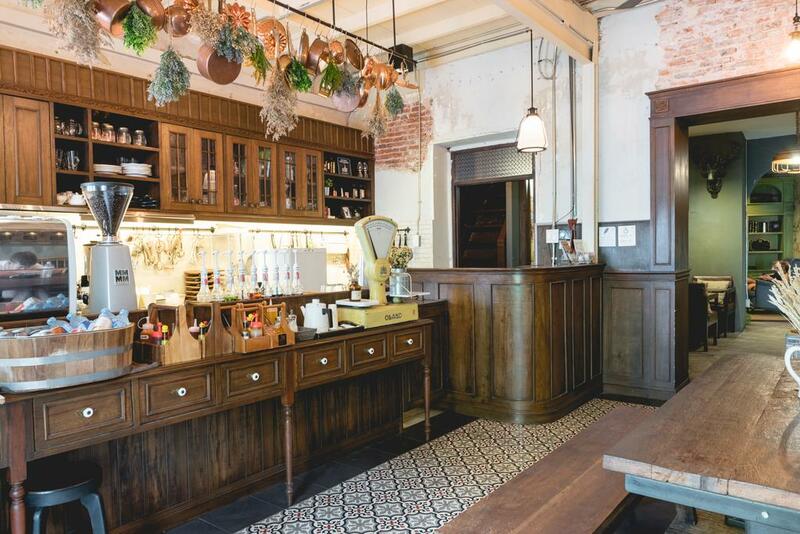 Udee Bangkok looks fantastic with Thai decoration and is located on a quiet street near the Chatuchak Weekend Market close to the metro and Skytrain. 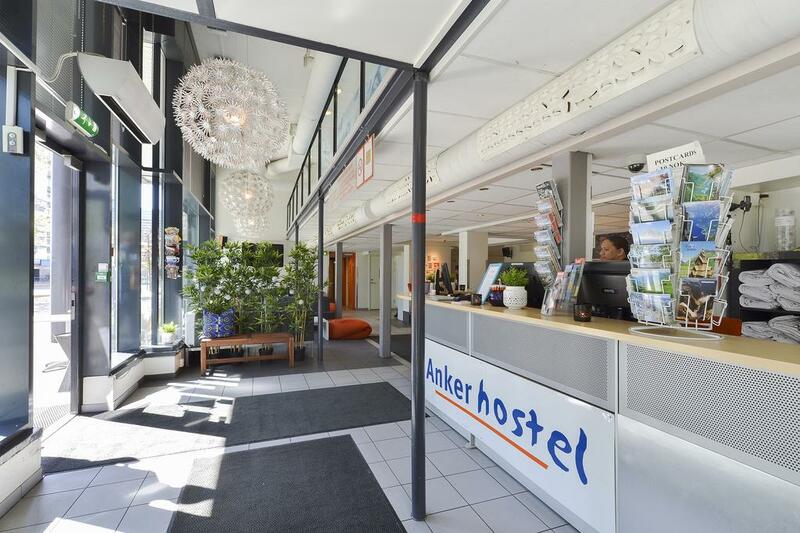 This cosy hostel is new, clean and very stylish and the staff are very friendly. 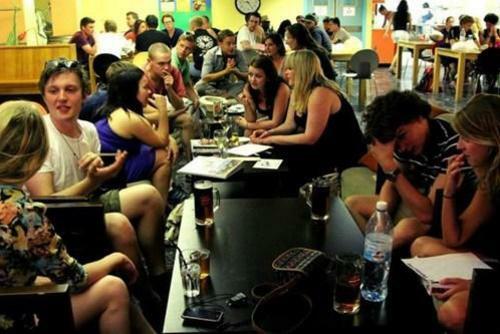 Don't expect a party hostel like some of the others on our list, there is a very relaxed atmosphere. Benefits of booking a stay here include free lockers, free linen and towel, free light breakfast, free wireless internet connection (WIFI), free usse of PlayStation2 and games and communal areas with cable TV and a DVD player. Bed to Bangkok is a popular place to stay in the Chatuchak district of Bangkok, close to the BTS Mo Chit Skytrain and MRT Chatuchak stations. There is an on-site restaurant and the front desk is open 24-hours everyday. The design is fantastic and the prices are cheap for the rooms and facilities available. This hostel looks great and you can choose between dormitory-style and private rooms which have air conditioning and modern bathrooms. The Bed Station Hostel is only a 2-minute walk from Ratchathewi BTS Skytrain Station which makes it easy to get around Bangkok. Free WiFi access is available and there a cool common areas with a kitchen and bar. 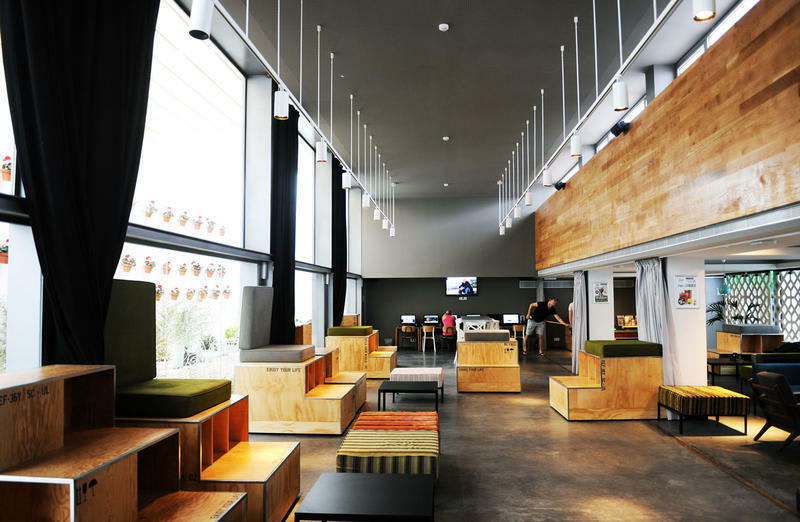 M Gray Hostel is a stylish hostel with air-conditioning, a snack bar, and free WiFi. Both private and dormitory-style rooms are available with shared bathroom with shower facilities. By staying here you can make use of a shared kitchen and luggage storage service. 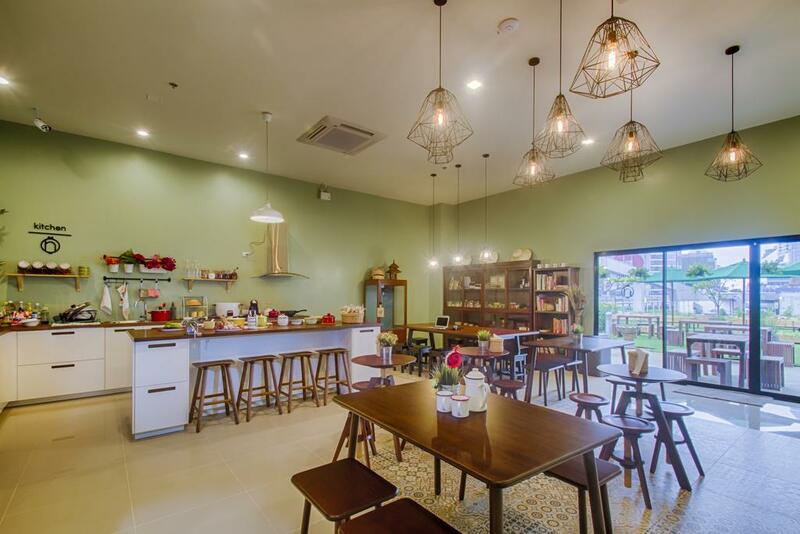 This hostel is also a short walk from Wongwian Yai BTS Skytrain Station. 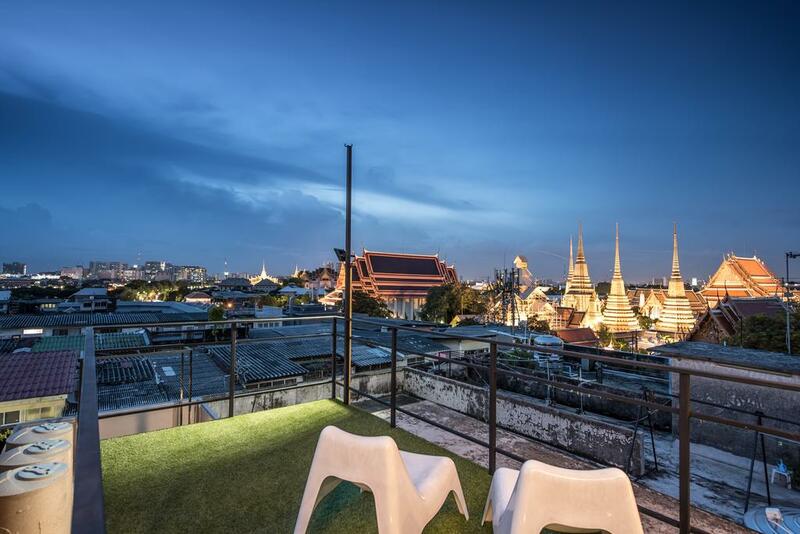 Pho hostel has a roof with a difference, check out the view above! 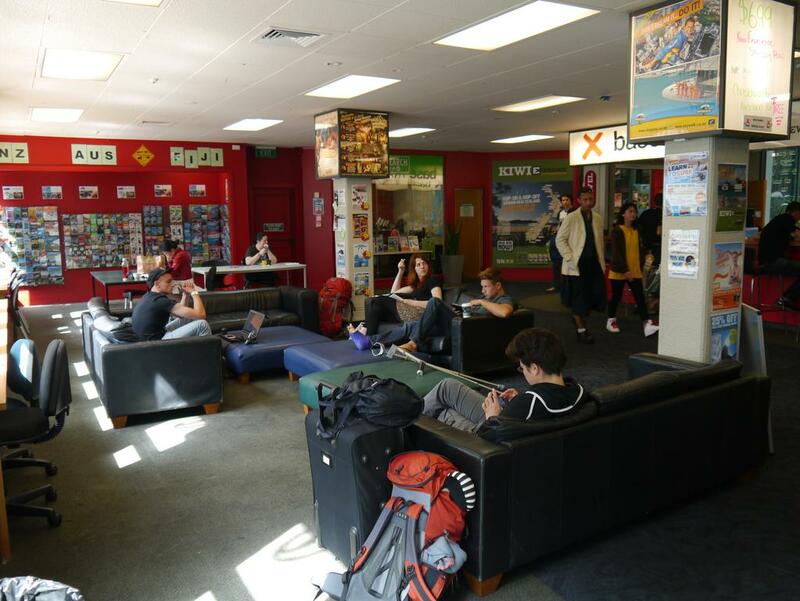 This hostel is popular with travellers and there are very positive reviews partly due to the location and facilities. 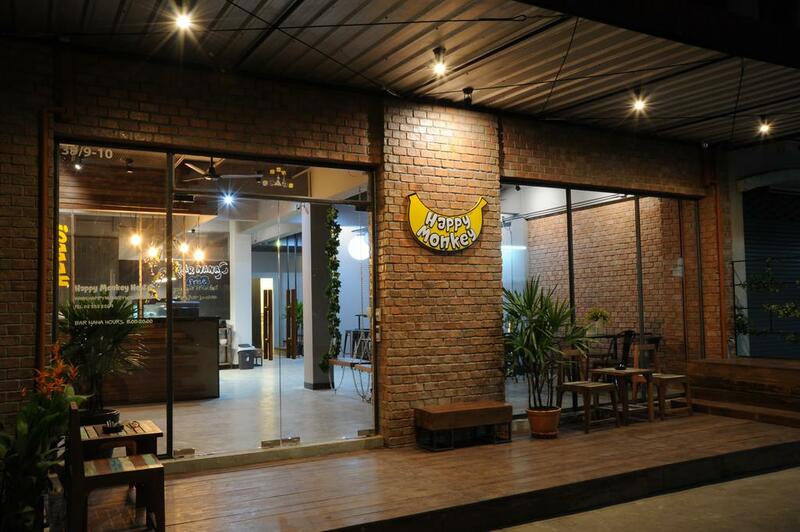 Happy Monkey Hostel Bangkok is another great option for a cheap place to stay close to the main attractions of Bangkok as it is located in the Pathumwan district. Breakfast is available daily, and includes continental and buffet options. 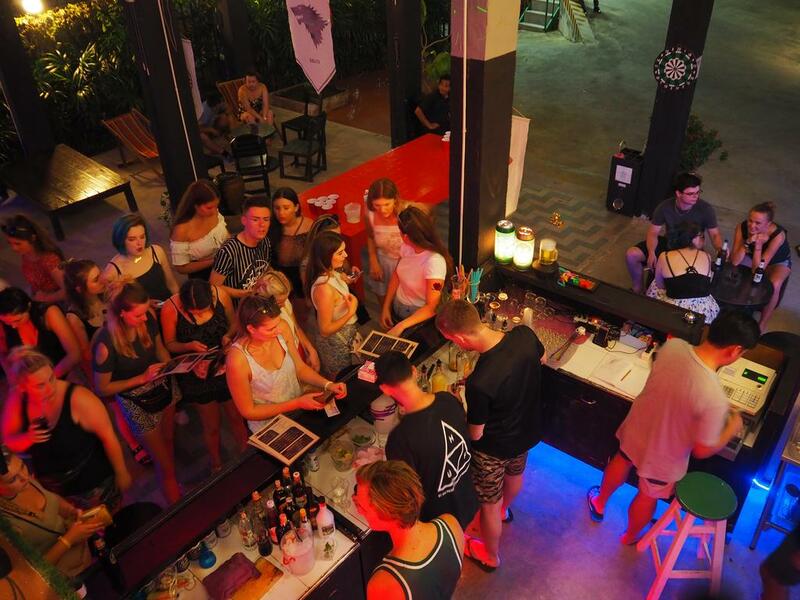 This is a new, cosy and great place to mix and meet other international travellers. If you have been to Bangkok? If you would like to share your experience of a hotel or hostel leave feedback in the comments section below. If you represent a hostel or property in Bangkok and would like to be featured on our website please contact us.